The DCS Office of Prevention was established to prevent child abuse/neglect. To support the needs of children and strengthen families, the Office of Prevention collaborates with the Community, Service Providers, Stakeholders and the DCS Field Staff. Through these collaborations, the Office of Prevention leverages resources, education, training and programs based on best practices to serve Arizona’s children and families. The DCS Office of Prevention compiled resources and videos to share in this video loop. 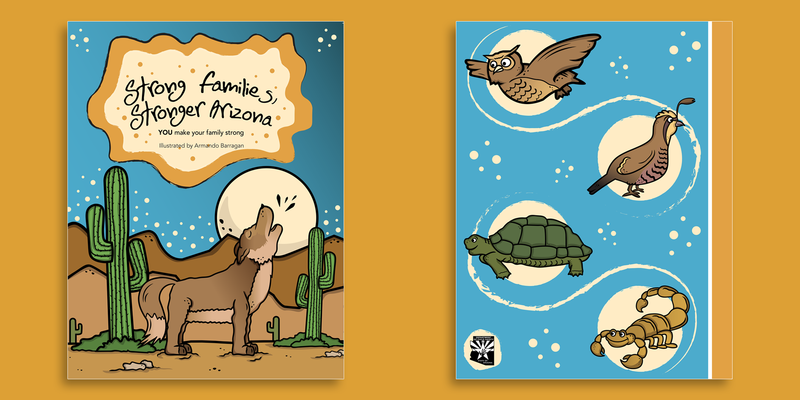 The video contains 30 resources from around the state along with interviews from Arizona parents. It is intended to be used in offices or clinics where families can view it and benefit from the information. If you are interested in downloading a copy, please email [email protected] . Download a Printable Version of the Protective Factors Coloring Book. 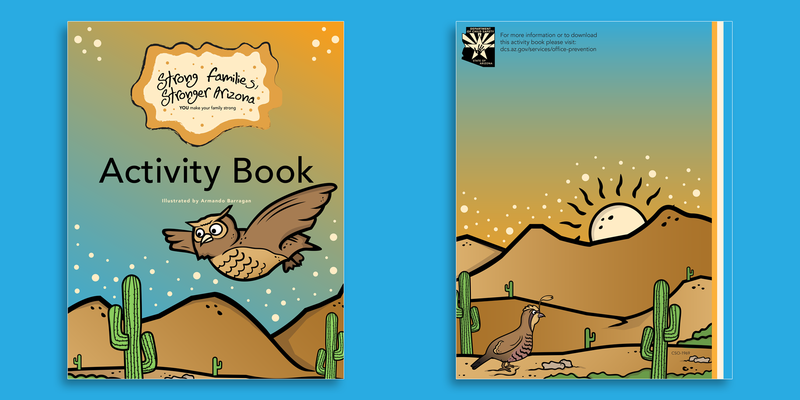 Download a Printable Version of the Protective Factors Activity Book. Parent Assistance Center at Family Involvement Center. Peer support and community referrals. 1-877-568-8468 or [email protected]. All ages. English/Spanish, M-F 830a – 5p. Birth to 5 Helpline, 1-877-705-5437 Ages 0-5. Masters level, child development/fussy baby experts and community referrals. M-F 8a-8p. Now, you can have the support of the Birth to Five Helpline at the touch of your fingertips! Download the Birth to Five Helpline app in the Apple App Store or on Google Play.